Sitting on the banks of the River Medway, Tonbridge is a market town in Kent. It has a population of around 40,000 and a strong housing market with some fantastic homes in the area. At My Home Move Conveyancing we’ve been developing our knowledge of markets like the one in Tonbridge since 2001, allowing us to bring a market-leading conveyancing service to our clients in the town. When you buy or sell property in Tonbridge, you must instruct property lawyers to carry out the legal work on your behalf. 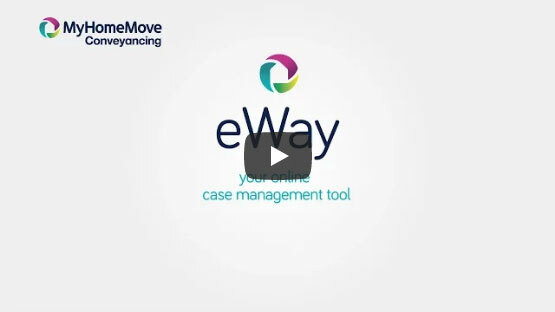 My Home Move Conveyancing offers our clients in Tonbridge an award winning level of customer service, innovative use of technology and intimate knowledge of the local market. Our conveyancing service is both professional and friendly, and comes with no hidden extra charges to worry about. You can budget for exactly how much you’re going to pay from the outset when we act as your Tonbridge conveyancers, and you can fall back on our ‘no completion – no fee’ policy if you don’t end up moving for some reason. We’ll assign you a dedicated conveyancer who’ll take care of all aspects of your case from start to finish, providing you with a consistent point of contact and regular progress updates. At My Home Move Conveyancing we take pride in getting things right first time round, which helps us to achieve more completions per year than anyone else. We provide our conveyancing services in Tonbridge to house hunters looking for homes close to the town centre, the castle, or Tonbridge Park. The average house price in the district of Tonbridge and Malling is £356,898, while the overall average sale price during the last year in Tonbridge itself was £371,069. Most sales in this period involved semi-detached properties, which went for an average of £411,908, while flats fetched £252,751 and terraces sold for £320,947. Recorded as Tonebridge in the Domesday Book of 1086, Tonbridge sits on a spur of higher land which was better for crossing the River Medway. An 11th century castle was built in the area, which was considered to be an important strategic settlement in medieval times. The modern Tonbridge maintains its market town feel, and offers amenities such as an array of shops along the high street, as well as attractions such as Tonbridge Castle and Heyes Country Park. The town has a great location within Kent, and its train station is one of the busiest in the county. This is because it offers services to London stations such as Charing Cross and Cannon Street which take just 45 minutes, making Tonbridge a popular place to live among commuters to the capital. The M25 motorway is just a short drive away along the A21, while Gatwick Airport is less than 30 miles from town. There are some excellent schools in the area to choose between if you have children, with some of the most highly rated primary options including Slade Primary, St Margaret Clitherow Catholic Primary and Stocks Green Primary. There are plenty of great local secondary schools too, such as Tonbridge Grammar, Hillview School for Girls, The Hayesbrook School, The Judd School and Weald of Kent Grammar. Tonbridge also has a small campus of the University of Kent if you’re looking for higher education facilities. All properties in Tonbridge will fall within one of the following council tax bands.